Established in the year 2010, we, Janvik Engineers, are regarded as an eminent organization engaged in manufacturing, supplying and trading an extensive range of Industrial Machine and Equipment. 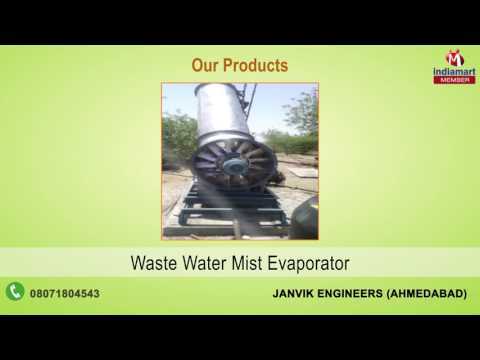 Our wide range of product includes Industrial Evaporator, Dust Collection System and Industrial Machine. These products are manufactured using superior grade raw material, which is sourced from reliable vendors. The offered range is manufactured by our dexterous engineers, who ensure to match it with the well-defined industry guidelines and standards. Owing to its superior performance, durability and low maintenance, the offered range is utilized in different sectors. Our proficient quality controllers ensure to test the offered products thoroughly so as to ensure their defect-free nature.